Le Creuset is known the world over for making the best in cast iron cookware, with its beautiful bright colours and long-lasting quality. The Signature range has the classic durable and hygienic enamel finish, but also includes wider handles that provide even weight distribution and a secure grip, and larger, more comfortable knobs that are heat resistant up to 260°C. All French Ovens & Casseroles carry a lifetime replacement/repair guarantee from manufacturing defects/flaws. The guarantee does not cover damage due to overheating, scraping & chipping through mishandling and improper use. View more from Pastels, Casseroles & Pots, Le Creuset Signature Casseroles. 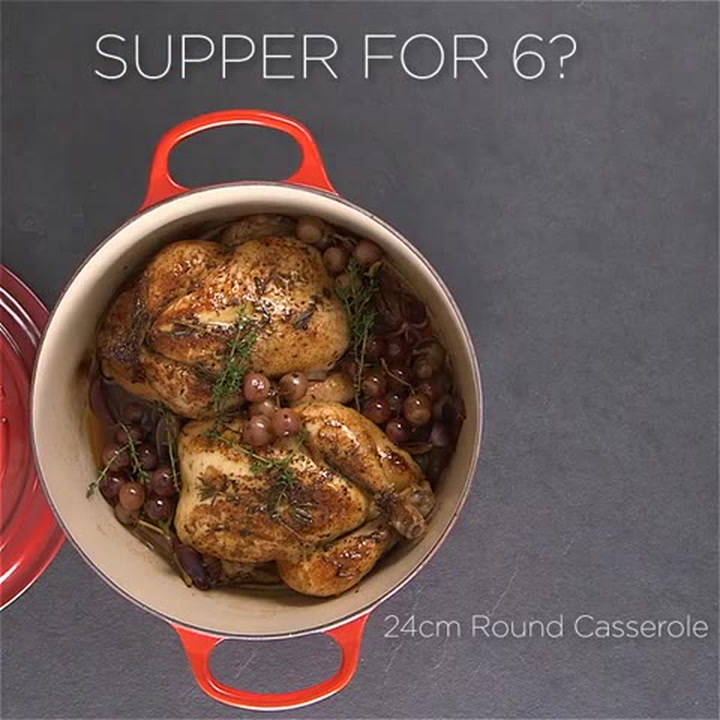 I just love this cast iron pot. I use it often, especially in chilly weather when all I want to make is soup, stews, chicken casserole and broths. It's the perfect companion when you are in the mood to cook some hearty comfort food. I count it as an essential in my kitchen and in the event of a fire, I'd be that person running out with my dog under one arm and my pot under the other. 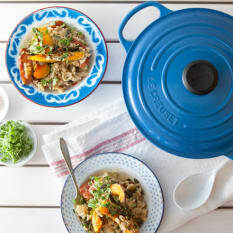 You can never go wrong with a Le Creuset cast iron pot. It is a real star for versatility and style. We got the new Mineral Blue colour and just love it. The colour is actually a lot more blue in real life. The size works well for stews, curries and even small roast's and is perfect if you are cooking for more than 3 or 4 people. I love it! I cooked my first dish in my new Le Creuset pot and the dish came out really well. I managed to easily clean all the curry stains extremely quickly. Brilliant! We chose this item, the Le Creuset cooking pot, as a birthday gift for our daughter-in-law. We selected it for its solid construction and handsome features. Our daughter-in-law is thrilled with the pot and has produced some tasty meals using it. It was expensive, but we felt she deserved a good quality item such as Le Creuset. This is the first Le Creuset casserole I have ever owned, and I just love it. It is stylish, cooks beautifully and I am just so happy with it.